I love it when things come full circle. 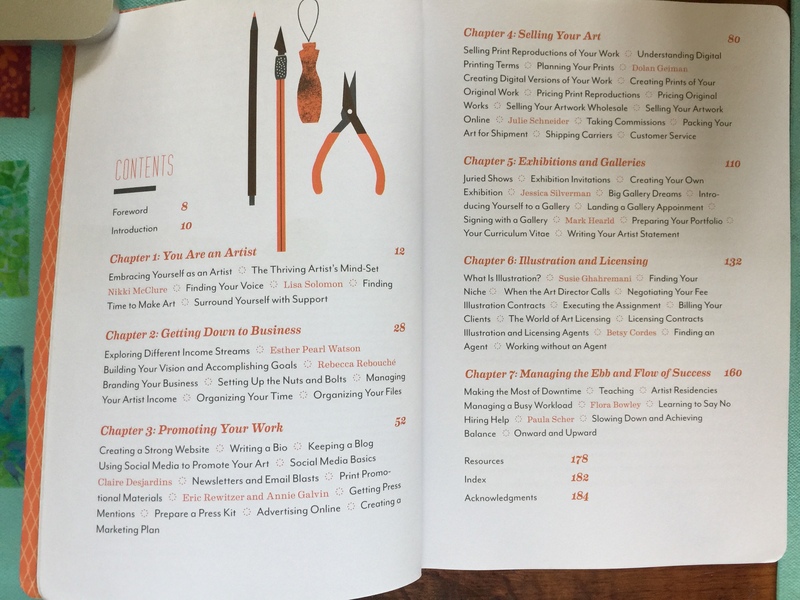 I was reading a Studio Art Quilt Associates Friday e-Blast newsletter, which had a link to an article in the NYT about the 20 best books on business for artists. Let’s face it: as an artist, we’d rather make art and not think about business. But if you don’t, you may not be able to afford to stay an artist. 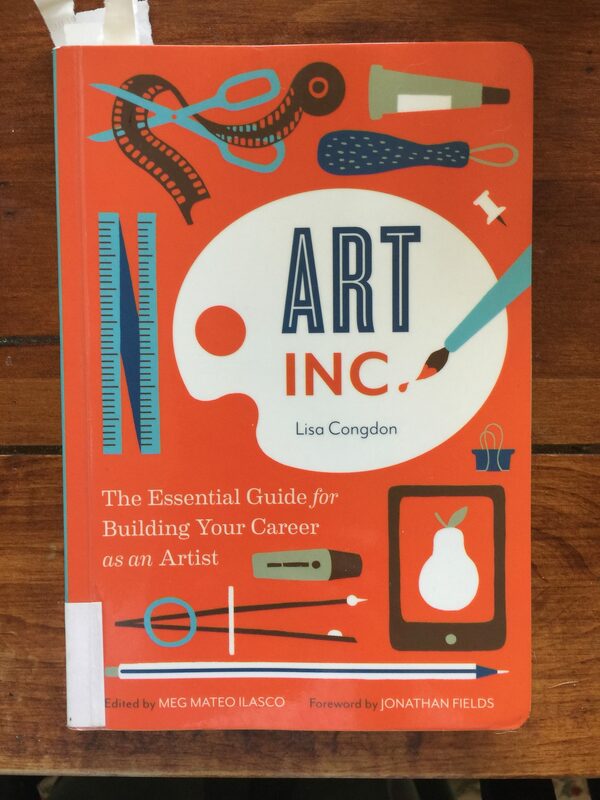 Book number 6 on the list is Art Inc.: The Essential Guide for Building Your Career as an Artist by Lisa Congdon, whom I first came to know about because her mom, Gerrie Congdon, is a textile artist and SAS Member. Find Gerrie’s artwork here. Find Lisa’s website (and further links to her Etsy, Instagram, FB and other social media presence) here. Full circle! Art Inc.: The Essential Guide for Building Your Career as an Artist by Lisa Congdon. Since she actually DID what she is talking about in this book, I believe her. I also love that each chapter has an interview with an incredibly successful artist–from a very wide range of places and backgrounds and media–talking about things that pertain both to the chapter where they are included but also to life as a working artist no matter what. Table of contents for Art, Inc. by Lisa Congdon, available on Amazon both in print as a Kindle book. I was actually delighted as I read through the first four chapters to say “check! Done that!” BUT I wish I had known about all this when I began. 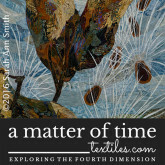 I have learned a lot from other quilt artists, first on the QuiltArt listserv, then on Facebook as many of us migrated to social media, and then more from my peers in SAQA (Studio Art Quilt Associates). But I felt validated that someone who took The Big Leap into being a full time professional artist was saying to do what I had done. But the book also helped me now when I feel like I am sorta mid-career. What do I do now, how can I better market my work and myself? What goals do I have and how can I achieve them? The chapters on selling, exhibiting, licensing and managing workload were GREAT. As I was reading I thought…OK, let’s buckle down and start making a cohesive group of works–perhaps 12-20–for a themed exhibit of my work, then market it….. So I now have a daunting goal, but I also have a goal–a specific thing I want to do. Will I make it happen? Who knows, but the only way to find out is to try. And I can use some of the guidance in the latter half of this book to help me find out how to get from where I am to where I want to be. You can’t ask much more from a book than that! 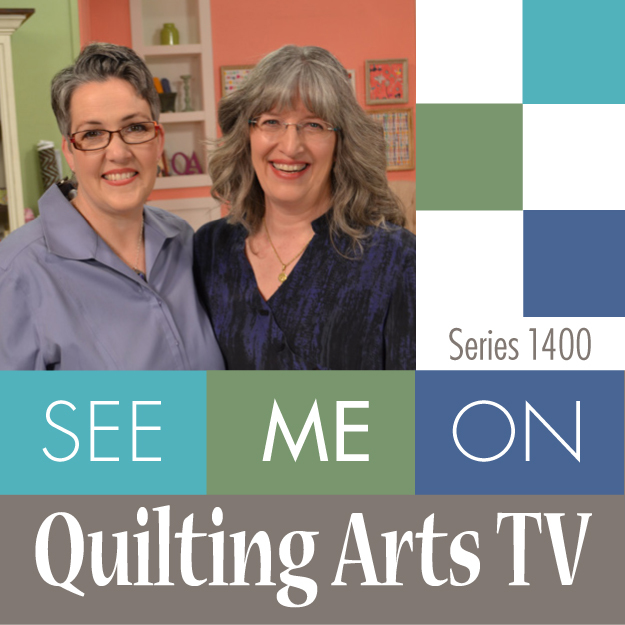 So, I am going to get a few smaller projects done, get ready to teach at International Quilt Festival in Houston again this fall, but while I’m working on those I’m going to start mapping out that series of works, thinking about how I want to present them, create them, and then get going! 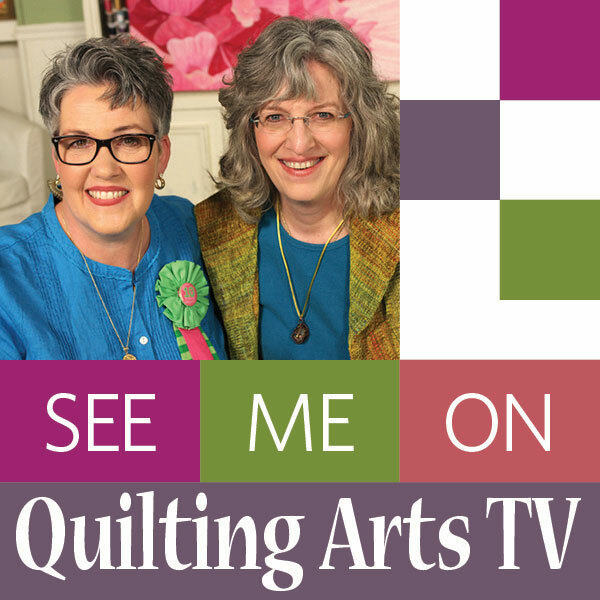 This entry was posted on Monday, August 27th, 2018 at 12:03 pm	and is filed under Art, art quilting, Book Reviews, Exhibiting, Professional quilting, SAQA. You can follow any responses to this entry through the RSS 2.0 feed. Both comments and pings are currently closed. Loved this. Thank you for the mention. Good for you! Without goals we go no where. Looking forward to seeing you achieve those goals. Can’t succeed if you don’t try. Still might not but at least I’ll have attempted! Glad to do it….it’s a Very Useful Book! Thanks for sharing this book. Got any things you think I need to cover in a “Maine” series?